Hello everyone, I'm Callie from northern Alabama. 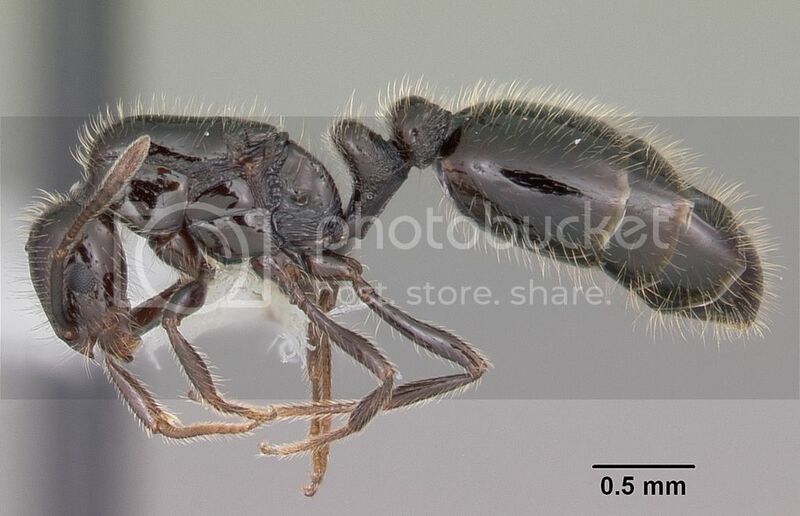 I'm completely new to ant keeping but have been watching AntsCanada youtube vids for years. I found this colony in a piece of petrified wood in my yard. I decided to put the whole thing in a big Tupperware bin so I can try to get em in a formicaria. As I was moving the wood a piece broke off and lo and behold, I turned it over and there was a queen! 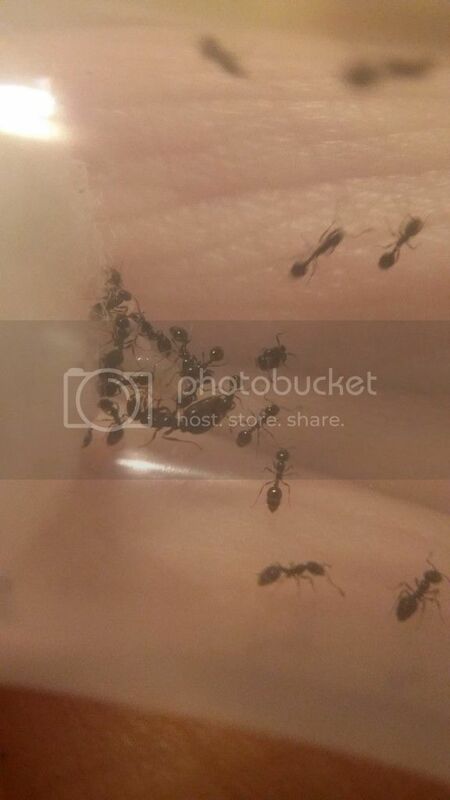 I already had a smaller container in my pocket and put the small piece that broke off in it where I later got her in a test tube along with a few workers and some brood. 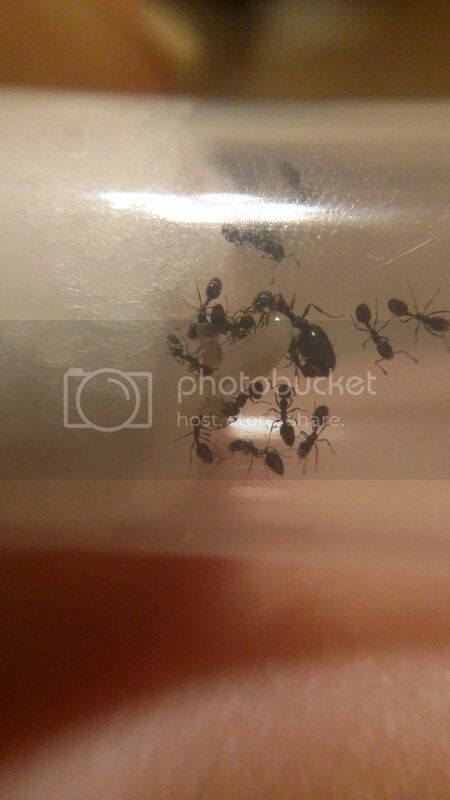 I wanted to try and figure out what species I have and after much internet surfing I think these are Monomorium minimum, but I'm not sure. 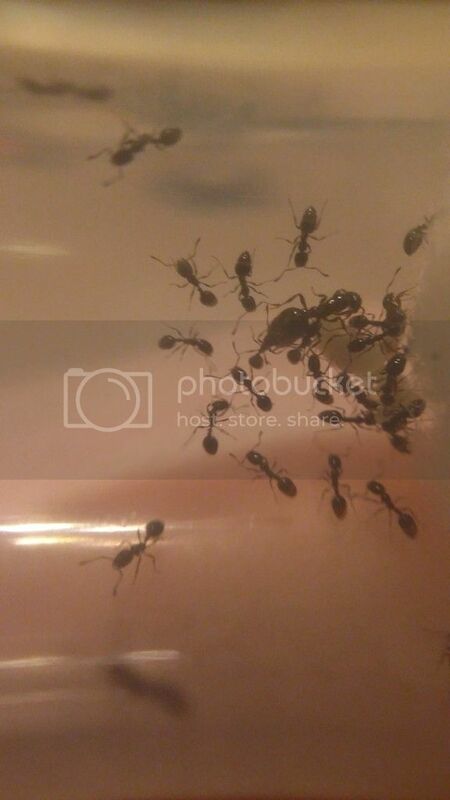 Can some of you more experienced ant keepers take a look? How long is the queen? These almost seem like Tapinoma. I would double check the measurements just to be sure. Here we go! I got a way better shot of her from the side while taking a video of her so I took a screenshot, you can see the 2 humps in front of her gaster in this shot much better.